In recent years we've been blessed with an abundance of walnuts from a neighbor each fall, so I enjoy trying out new walnut recipes. This recipe for Maple Candied Walnuts from The Whole Life Nutrition Kitchen is lovely and couldn't be easier. They make a tasty and unique gift, but are easy enough to be a special treat any time of year. Harvesting walnuts is a part of our fall routine most years. We don't have walnut trees yet, but our neighbors have black walnuts and English walnuts. I normally use the black walnuts for their hulls to make black walnut tincture, and use the English walnuts for their nut meats. Both types of walnuts have a tough green outer hull, but the hulls on English walnuts usually split open and are easy to slip off. 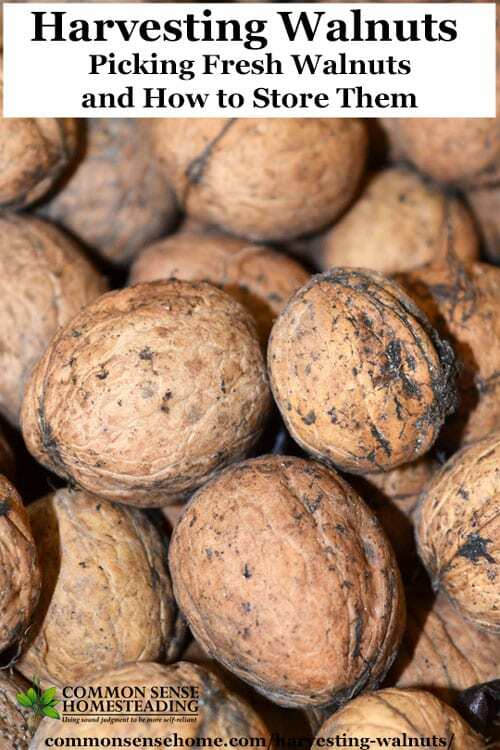 Black walnuts require more effort to hull, and their shells are thicker and nut meats smaller. 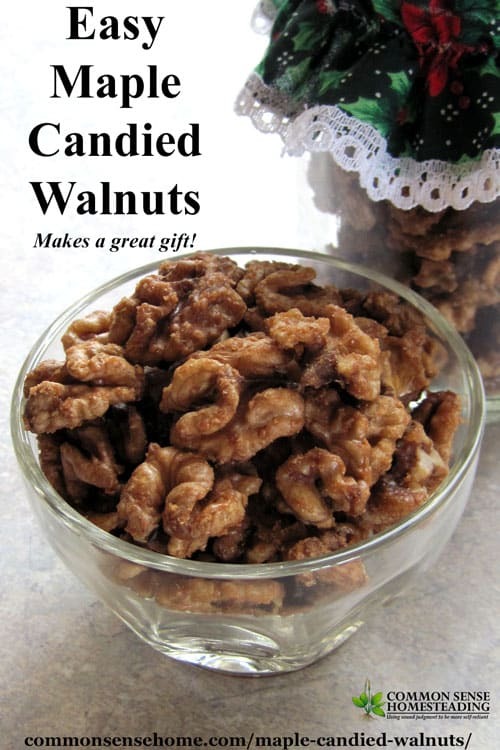 English walnuts have thinner husks and shells, and are easily cracked with a lever style nut cracker. In this post I'll talk about harvesting English walnuts, picking the fresh nuts and drying them for storage in the shell. We'll also cover the best way to store nuts out of the shell. Note: The maple candied walnut recipe has moved here.